Spring is here but that doesn’t mean porters should disappear from your lineup, notably something that’s light, slightly sweet and beloved in your hometown. 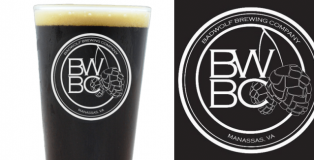 Personally, I was shocked when I saw that I hadn’t profiled this Clara’s Vanilla Porter from BadWolf Brewing Company, located steps from my home in Manassas, Virginia. I’ve been enjoying this beer during Friday night date nights with my husband for months now, thrilled with its low ABV and full body. 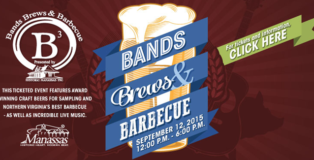 Instead of just attending the Bands, Brews and Barbecue event on September 10th in Manassas, Virginia, my husband and I decided to volunteer and get to know some of our neighbors (who also happen to love music, beer and smoked meats).